Take candlestick. 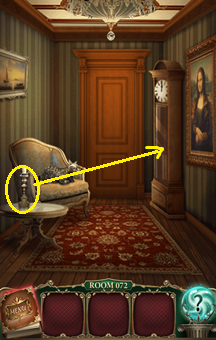 Use candlestick to break clock glass. 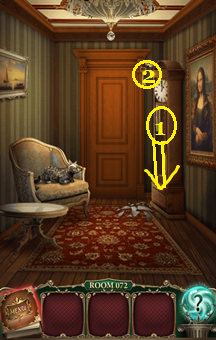 Pull down on the cords inside the clock. Watch carefully for bird that pops out and take key from it when it does.